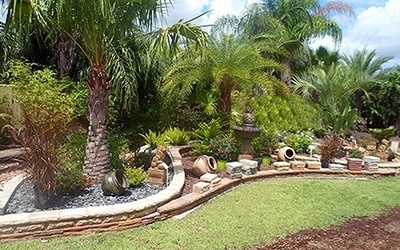 See our outdoor landscaping showroom showing off all of our incredible palms, shrubs, trees, plants, flowers, stacked walls, pavers, firepits and water features we can install for you at your home. Stop by today and check out our putting green, built on a beautiful stacked wall! 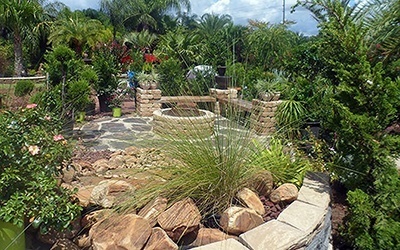 You can come by and purchase plants or bring your plot plan and we would be happy to discuss your landscaping project and provide you with an estimate. 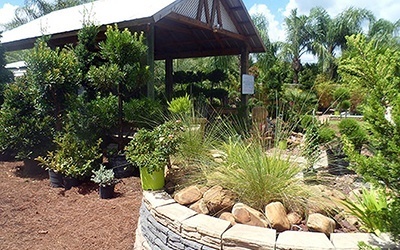 Feel free to come by our Retail Nursery and Outdoor Landscaping Showroom at 8440 CR 48 in Yalaha, which is just 30 minutes from Orlando. We are open from 9am-3pm Tuesday-Saturday.